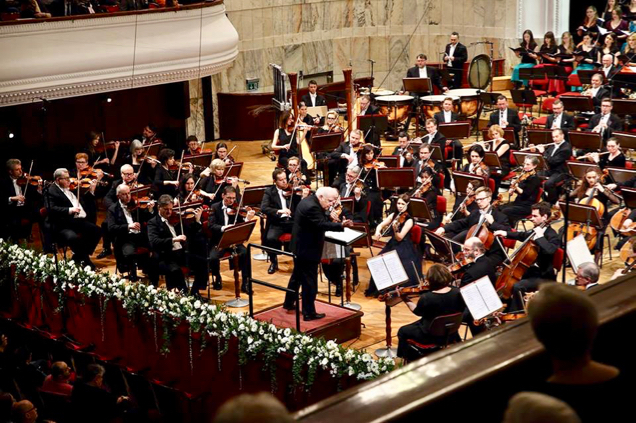 Leonard Slatkin’s concert with the Polish National Radio Symphony Orchestra at the Ludwig van Beethoven Easter Festival in Warsaw received an overwhelmingly favorable response from the critics and audience alike. The program paired Ravel’s “Kaddisch” from Deux mélodies hébraïques with Mahler’s Symphony No. 2, “Resurrection,” and featured Martina Janková (soprano), Bernarda Fink (mezzo-soprano), the National Music Forum Choir, and the Polish National Youth Choir.